Our goal is to connect people with the best local experts. 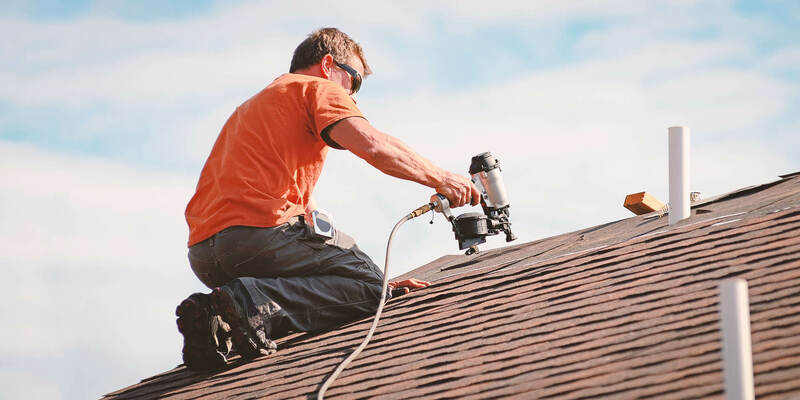 We scored roofers on more than 25 variables across five categories, and analysed the results to give you a hand-picked list of the best roofers in Tucson, AZ. Established in 1986, Alan Bradley Roofing is a family owned and operated roofing company serving Tucson. They are specialists in repair, coating, and contracting for roofs. They use products made in the USA, meet all FHA/VA specs and specialize in built-up, ceramic, flat, fiberglass and shingle roofs. Products offered by Alan Bradley Roofing include designer shingles, modified bitumen roofs, shake roofs, and three-and four-ply build up roofs. They also carry a number of brands, which customers can explore on their website. They received the Arizona “Contractor of the Year” in 2011. For more than 25 years, All Dry Roofing has provided roofing needs to the Tucson area. The licensed, bonded and insured business provides free roofing estimates through physical inspections. Their specialties include hand-nailed asphalt shingles, reflective coating, hot mop fiberglass, waterproofing, skylight and deck installation and replacement, as well as general maintenance and repair. Bob’s Custom Roofing has served Tuscon’s roofing needs for over 40 years. Working with both residential and commercial roofs, Bob’s Custom Roofing provides new installations and repairs. They specialize in correcting storm damage, insulation, and coating. The roof technicians can see little and big problems, from clogged gutters to rotting wood. During and after monsoon season, workers can come to your home to assess the damage. They also offer unique style choices for shingles. Using Tamko brand shingles, the team at Bob’s urges customers to consider the variety of shingles available to them to beautify their home. Customers appreciate the team’s cleanliness and efficiency on jobs. Castle Roofing, Inc. has operated from Tucson since 1981. Co-owners Dan, John, and Jordan Roberts lead the family-owned-and-operated company. They are familiar with many roof types including shingles, flat, tile, corrugated metal, and standing seam metal roofs. Using painting and construction expertise, Castle Roofing will meet with customers to determine their best options. Satisfied clients note the promptness, friendliness and cleanliness of the crew. The team maintains an A+ rating with the Better Business Bureau and offers a special discount for all active duty military. They also provide free estimates for interested parties. Caste Roofing has received the State Compensation Fun and Safety Award. Crest Roofing, LLC has served Tuscon and it’s outlying communities for over 30 years. Along with general maintenance and repair, Crest also offers 24-hour emergency service, gutter repair, solar panel cleaning, and skylight repair and replacement. The team also provides no-cost service inspection and reports and offers consultations with customers on a variety of safety and tax-credit issues. Eversil Roof Coatings, LLC. is located in Tucson and has been in business for nearly three decades. Locally owned and operated by LJ Keene, the company provides repair, coating, re-roofing, installing new roofs, storm damage, and leak repair. In particular, they specialize in flat roof coating and are “Certified Applicators” premium quality elastomeric roof coatings. They are available for emergencies 24/7. Lyons Roofing is a licensed, bonded, and insured roofing company in Tuscon. For more than 20 years, Lyons has provided roofing needs to residential and commercial clients. They are the recipients of the ARCA 2012 “Contractor of the Year,” 2009 Better Business Bureau Ethics Award Winner and SCF Arizona "Best of the Best, Safe Companies in Arizona” awards. Since 1957, Ralph Hays Roofing has served the Tucson area for all roofing needs. Working with both residential and commercial roofs, the team at Ralph Hays services all types of roof materials. These include shingles, wood shake, clay and concrete tile, flat roofs, and metal. If clients are confused about needing a new roof, or which type of roof they need, the staff at Ralph Hays can provide the answers. To determine if a new roof is needed, technicians examine the structural integrity of the roof, the condition of the underlayment, and the age. From there, they are equipped to recommend to customers what type of roof and repair might work best. They are licensed, bonded and insured. Customers are pleased with the knowledge and efficiency of the staff. Rock Roofing is a full-service Tucson roofing contractor that has served the community for more than 15 years. They work with new construction or existing roofs and specialize in restoration, maintenance, and leak detection and prevention. The team at Rock Roofing believes total roof protection should include gutter and downspout installation, coating, and re-roofing as needed. Rock Roofing also offers up to a five-year labor and materials warranty. They provide commercial inspection reports for a reasonable fee, which is then waived if the work is accepted. Roof Coating Specialist, Inc. of Tucson specializes in a cold roof system that can withstand the heat of the Arizona sun. Recipients of the Angie’s List Super Service award since 2012, the team at Roof Coating Specialist Inc. installs a membrane roof system that can keep houses cooler and lower energy bills. The roof technicians all receive specialized training and are certified to work with the elastomeric products. The materials are petroleum-free and environmentally friendly. Since 1983, Roof Savers Locke Roofing has operated in the Tuscon area. The roofing business can help with leaks from tiles roofs, pooling water on flat roofs, replacing damaged wood and tiles, and maintain built up coating. They also perform inspections and reports on roofs for homes to be sold. The team at Roof Savers, from office staff to technicians and producers, is prepared to help you with any needs or questions. They are licensed, bonded, and insured. Terra Nova Roofing Solutions is a roofing contractor in Tucson. They work with flat roofs to ensure that no leaks or puddling occurs. They also offer a silicone roof coating that comes with a 50-year warranty. Terra Nova Roofing Solutions are also experts in skylights, and can install a variety to increase energy savings and light. At Tucson Affordable Roofing, Tucson-area customers can expect free inspections and estimates. The licensed, bonded, and insured company also provides roof tear off and replacement, flashing, sealing and repairs, emergency tarp service, and general installation and repairs. They work with insurance companies when repairing storm damage. Serving the Tucson area, Tucson Roof Smart is a licensed, bonded and insured roofing contractor. The team services all kinds of roofs including, tiles, shingles, polyester membrane, and flat built-up roofs. Jobs include repair and replacement and the company also provides free roof inspections for assessing possible damage. They work with residential homes, only and offer discounts to seniors, military personnel, and teachers. A full service roofing company, Tuscon Roofing serves Tuscon and outlying areas. The team works with residential and commercial properties and works on siding as well as roofs. For emergency calls, Tuscon Roofing offers same day service. They are well versed in many roofing materials and techniques, including shake, shingle, tile, composition, rock, and capsheet roofing.